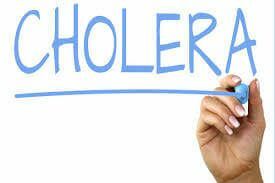 Cholera is an acute condition of diarrheal illness. The infection is cause by a bacterium “Vibrio cholerae”. This condition is normally mild and doesn’t have symptoms. In some cases, it can be severe. In severe cases, different signs are arising. A severe watery diarrhea is one of its symptoms. It can lead to dehydration. If this condition left untreated, this can result in death. The disease is common in some parts of Africa, South Asia, and Latin America. In which they have poor sanitation. Several treatments are applied in treating this disease. People who tend to have this condition are advised to have a hydration. To prevent developing severe cholera. That can lead to death, if not treated. If a person eats contaminated food, the bacteria release a toxin. It can produce severe diarrhea. Be wary of dairy foods. Don’t buy food sold by street vendors. Choose to drink bottled water, canned juices, and soft drinks. Eat fruits and Vegetables that you peel yourself. Wash the dishes and utensils that you use to eat or prepare food. The doctor will diagnose you by identifying your stool sample. One of the easiest tests to confirm the diagnosis is “rapid cholera dipstick test”. An early diagnosis helps in decreasing the death rates of cholera. And with the treatment helps cholera outbreaks in control. The above-said treatment adds liquid in the body to help rehydration. It also reduces the days of having diarrhea.